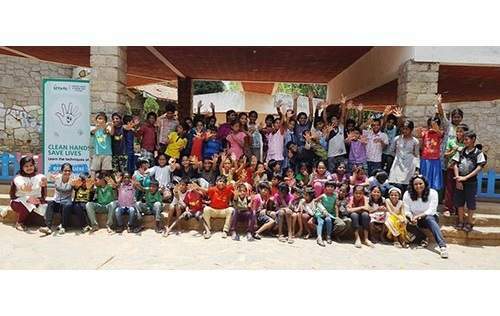 A team of experts from Fortis Hospitals, Bangalore, in association with volunteers from three NGOs; i.e. SOS Children village and Child Fund Association)visited various parks to educate children on different hand washing techniques. This was supplemented by distributing hand sanitizers which can be used on-the-go when children don’t have access to hand wash basins. This week-long initiative has been undertaken to commemorate World Hand Hygiene Day, where the hospital is spreading a message about importance of having clean hands to lead a healthy life. According to World Health Organisation (WHO),hundreds of millions of patients around the world are affected by health care-associated infections every year. More than half of these infections can be prevented if caregivers properly clean their hands while attending to the patient. In line with this year’s theme of the campaign, that is Fight antibiotic resistance – it’s in your hands, Fortis Hospitals is reaching out to children and educate them on benefits of hand hygiene techniques. The event is being held in 6 to 8 parks in the city.